A hat-trick from Stuart Noble and a double from Captain Jamie Gibson fired Gala Fairydean Rovers into the semi-finals of the Football Nation Qualifying Cup in a pulsating game at Gretna’s Raydale Park. The former Fulham striker Noble scored twice in an end to end first half before adding a third just before the hour mark to book the Netherdale side’s place in the draw that will be broadcast live on STV. Persistent rain in the days leading up to the game meant that the Raydale pitch was extremely heavy but the visitors stuck to their passing style of play despite the conditions. Gala struck first in 6 minutes when Stuart Noble took advantage of hesitation in the box following a corner to fire past Vinnie Parker in the home goal. On 15 minutes the home side struck back through Iain Anderson much to the consternation of the visitors. The Gretna striker appeared to be at least three yards offside as he rounded keeper Mark Wilson but the goal stood. Gala re-took the lead on 23 minutes after Gretna once again failed to deal with a set-piece. Jamie Gibson headed home from the centre of the box following a pin-point Colin Galbraith cross after Stuart Rome’s Gretna once again failed to clear the danger following a corner. Any hopes Gala had of holding onto their lead were dashed within a minute of the re-start when the impressive Anderson broke down the left and sent a cross into the centre of the box for an unmarked Darren Addison to nod into the net. The Braw Lads then played their best football of the game in the 10 minutes before half time. On 36 minutes David Bonnar who had a fine afternoon picked out Jamie Gibson with a cross from the right hand side of the field. The Gala Captain slipped as the ball arrived but he managed to regain his composure and his feet in time to stab the ball past Parker. Gala were determined not to lose yet another equaliser and within 90 seconds stretched their lead. The impressive Taylor Hope won a challenge and then sent Ryan Clapperton on a run down the left. The hard-working midfielder skipped past a despairing tackle to play in Stuart Noble who used all his experience to round the home keeper and fire home Gala’s fourth of the afternoon much to the delight of the vocal visiting support. The home-side started the second half in determined fashion and pressed for an early goal, however it was the visitors who put the tie beyond any doubt on 56 minutes when Noble completed his hat-trick. Keeper Parker had done well to block the striker’s initial effort from the left hand side of the box but when the ball fell kindly to the 32 year old he made no mistake with the re-bound. Gretna battled valiantly for the remainder of the game coming close on several occasions but Gala held firm for a well-deserved win. 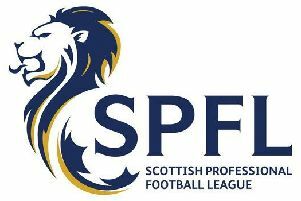 Joining the Netherdale side in the semi-finals are the Lowland League sides Spartans and East Kilbride along with the East of Scotland League’s Civil Service Strollers. Gala Fairydean Rovers: M Wilson, L Stephen, T Hope, C Galbraith (T Aitchison 72), S Main (C Jardine 76), D McColm, B Miller, D Bonar, S Noble, J Gibson, R Clapperton ( R Lamb 60).